How to get your ex back when blocked on social media? Stop suffering because the person you love is subjecting you to silence. Start subtly getting back in control! When you’re blocked from all means of communication, it’s easy to think that the odds of getting your ex back are minimal. You worry that if you’re not in touch, your ex will forget you and worse still; they’ll end up with someone else. Well it’s true...if you don’t start doing the right things. Don’t panic; the course you have in your hands will change everything. 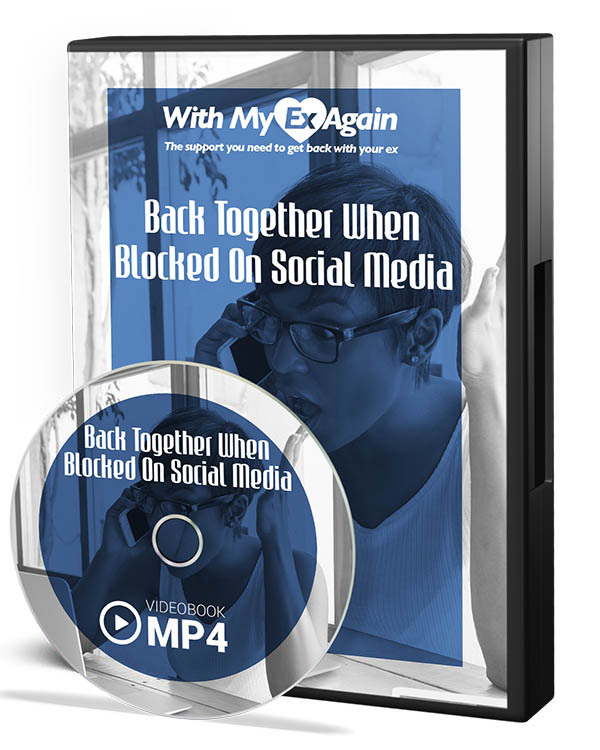 Using this exclusive course, discover the most effective methods for communication and getting your ex back when you’re blocked on social media or even on the phone. You will succeed in making your ex regret their decision to separate by following an efficient strategy and using various elements of inversed psychology. Remember that you must also learn to master emotional leverage and the art of persuasion. Why doesn’t my ex want to speak to me anymore? What does it mean if my ex is ghosting me? Should I also block my ex and use the no contact rule? Do I still stand a chance or is it really over forever? How can I get my ex to unblock me? How do I get back in touch?How can I reestablish positive communication and have interesting conversations? How can I seduce my ex? I’m sure you’ve already asked yourself at least one of these questions, and this course will provide you with answers and guide you towards your goal. Your ex will be blown away by your changes. In order to do so, I offer powerful exercises that will guide you towards appropriate actions for your specific situation. It will be like having new insight into your ex’s head; you’ll be able to anticipate their thoughts and desires. I’ve already used this technique in my coaching sessions and I can tell you that the results are exceptional. About 8 out of 10 people are able to get back in touch after just a few days. It’s incredible. Together we will be able to change the current situation and give you a new chance to find joy. Don’t let this chance pass you by, and put an end to this painful roadblock. So instead of crying in front of your computer or in front of your smartphone, instead of asking for friends to spy on your ex for you, instead of making fake profiles to try and get closer, focus on setting the right actions in motion. In order to design the plan that is perfectly adapted for YOUR EX, I give you tools and techniques to follow in this video seminar. Kate, Grace, Anthony, and Joe have all succeeded in turning things around and are now happily back together with their exes. You can get the same results by utilizing my course. Here are 12 of the numerous key elements that you’ll find in this course! Don’t waste another minute. Put the odds back in your favor, get yourself unblocked and get back together with the one you love! 65% of the people I coach have been blocked on social media. With my unique experience in the realm of coaching, I am the only one that is truly able to help you to understand and change your current situation. With this video series you’ll learn to get to know yourself better and you’ll be able to quickly change your ex’s mind and once again have positive interactions.